The light is still not quite right to photograph this to reflect the lovely colours but I will include the swatch in a moment. I have used a single charm pack from Moda designed by Bonnie and Camille called Ruby. This was my first attempt at cutting into the patches (four patch blocks). I have pieced them randomly without much attention to the overall design and I like it. Next time though, I will be planning more carefully and piecing with purpose!! All over pinwheels would be particularly suitable for a boy I think. The panel here looks quite Cath Kidston in colour whereas the palette is actually fresher and more modern looking, see swatch below right. Anyway, the panel is approximately 26.5 x 26.5 inches. I’m trying to work out how I got there but next time I’ll write it down as I go. The charm pack yielded 10 4 patch blockswhich were cut on the diagonal to give 40 triangles which were sewn back together to give 10 squares – I used 9 blocks to create a square quilt top. I’m waiting for my backing and binding fabric to arrive but I will be using the one pictured to the left (the aqua coloured with apples/cherries) to create a deep 8 1/2 inch border, it will also be used as the backing fabric. The quilt will be bound in the same aqua colour but a solid version. I will be using Warm and Natural cotton batting again (if it ain’t broke …) as I have been pleased by the finish of Hannah’s quilt and it was quite easy to hand quilt. and the border will be echo quilted on either side of the border fabric and then have the lovely ducks (left) to further decorate it. It will be approximately 35.5 inches square when completed and will be for sale in my etsy shop. I started this post way back at the end of August but about half way through discussing how Autumnal it felt for the end of August, WordPress ate my words and refused to spit them back out. It has taken me nearly a month to come back and finish what I started. Infact she almost bit my hand off. I do hope she is pleased. My craftiness has seen me teach myself to crochet, largely inspired by the fantastic work of Lucy over at Attic 24. My efforts are not quite to her standard yet but perhaps one day, I will make something other than a bile yellow face cloth – yay me. Pictures may follow but only once I have got beyond the dishcloth stage. Knitting and sewing continue as usual although I have actually finished more things than usual which is a good thing. In other news Arty Daughter has made the trek to Bath to take up her place on the Fine Art degree and Surrealo son has been appearing in the vicinity of Nick Clegg’s left elbow (there must be some freudian meaning there). In really other news I have started tweeting, not very well, and have made some twitter friends with blogs. Hello to Weekly Bakeoff and Holly. I really do bake; the evidence is somewhere down below. The German Apple Cake I will try to find a recipe for and post here. Cards and gifts can be found here and here; trying to work out which is easier to use. I don’t really understand the silent Sunday concept, perhaps someone will educate me. This week I have been getting ready for the fete at Merafield View Nursing home next Friday afternoon from 1.30pm, doing some marketing and getting ready for self-employment again. I’ve sorted a business account, spoken to tax credits, investigated changes to our income and we are looking for opportunities for John’s artwork, and he’s going to be trying to do some more illustrative stuff which I actually think suits his style. He has had so much to overcome during the past few years, it’s quite amazing to me that he is willing to try anything again but the idea of being in this quasi dormant state until death us do part fills neither of us with glee. If the medical professionals could get their fingers out perhaps we would have something of an answer or at least an idea of whether or not stroke number five is a foregone conclusion or just a possibility. I know which one the balance of possibility dictates. Life, chez nous, is not, contrary to my tone, all doom and gloom. We are basically happy. We have lovely children and we love each other, our cups runneth over. This afternoon I shall be cheating in the kitchen; I’m going to use a Wright’s Carrot Cake Mix. I haven’t tried it before and bought it out of curiosity, not normally being one for cake mixes. I do sometimes use their bread mixes as they work quickly, even on a wintry afternoon. Obviously full of flour “improvers” and other dubious things to help things along. After that I will return to knitting penguins and jumpers and bells. I will let you all know how I get on, carrot cake is so yummy it might be nice to have a cheat which doen’t involve grating. Life is to short to have just one knitting project on the go. In other news and thanks to my ex-sister-in-law I have been spending a lot of time over at attic24, drooling over her crochet work and her life to be brutally frank. If any of you lovely people could actually show me how to crochet I would be immensley grateful. As sure as death and taxes, Christmas is coming, the goose is fattening nicely and the old man’s hat is filling so rapidly with coin of the realm that there will soon be no room for his head. The Phoenix Christmas range is coming too, but not until tomorrow so you will just have to wait. Yesterday I did my first event a very tiny, titchy car boot sale at the YMCA in Honicknowle. I was very nervous ahead of it as I had never even been to a car boot sale and although no one could describe it as Sale of the Century it did quite a lot for my confidence. The stand looked nice and I managed to chat to people without feeling like I used to feel when I had my business. Hard to explain but at least I know what I mean. We have spent an interesting week touched very slightly and vicariously by the glare of the media spotlight; it has given me a whole new appreciation of the machinations and impact of our appetite for the solacious. The beautiful weather has been a real boon – it feels like the holidays have really begun and we’ve already done two trips to the beach and have more in the planning stage. We are also planning to go to Tinside Lido for the first time. If anyone else has been recently please let me know what it’s like. Have a happy Sunday. So after my last little splurge I have been quite quiet and unsettled. Life, I suppose, is all about change and sometimes those changes are not comfortable even if they are inevitable. I have taken the last few weeks to think about the future in a way that I haven’t done for a long time and with a clarity that has been absent for even longer. We can’t change what has happened but we can change with the way we deal with the future. Instead of accepting the world and what it does to me, I have decided to make my future happen. Some of you will think this very odd as you have been doing this all your lives but it’s new to me. I have a new website over at Phoenix Trading; the thing that sparked our interest is that they are looking for artists so that would give us something we could do together from home. If you follow the link here and then click through to my “about me” page (at the top in the middle) there’s a link at the bottom to a youtube video about this – do you know anyone arty? There’s lots of info on my site but do check out the cards and gifts as they are beautiful. I’m just waiting for my start-up kit to arrive and I’m unbelievably excited – can you tell. If you know of any events – church fetes, playgroups, coffee mornings etc, etc who you think would like my cards and gifts please leave a comment. Any ideas welcome and I know you wonderful people are full of them. Well, I’m not sure why, but I have moved from blogger to wordpress. So “hello” to those who don’t know me and “nice to see you” to those who do. My blog has seen various levels of activity over the last seven years and when I started it back on aol hometown I didn’t think that it would have documented so much trauma. Life then seemed quite idyllic and perhaps I am having some of those same feelings of hope. Or perhaps I just have the freedom and space to think at the moment. It feels like an indulgence. Of course, with the work I was doing previously, it would have been difficult and inappropriate to comment on the www about the things I was dealing with, something that at least one of my previous employers should have borne in mind but I am not bitter or twisted; well perhaps only a tad, only enough to leave a metaphorical eggy burp. It really all has been a blessing of sorts. I will not give credit to my changed life to anyone apart from myself. To those who might wish to, I say they cannot claim that they knew it would be for the best. The fact is that they didn’t really know or care; I know that it has saved me and therefore saved our little piece of the universe. I can’t adequately express the tsunami of change that has hit us and every so often, it seems, hits us again. What I can tell you is that I am glad that we are all still here bobbing, slightly dishevelled, surrounded by the flotsam and jetsam of “normal” life. Today I did something amazing. I did something, for me, so mind-blowing I can’t quite take it in. 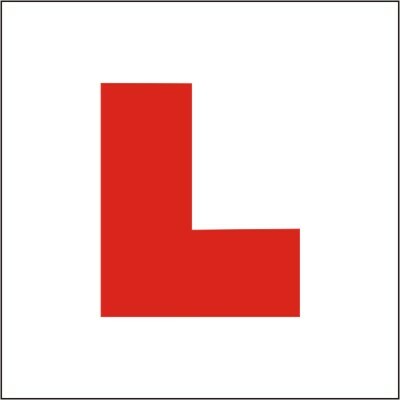 This just the smallest step but this evening I genuinely feel as though by the end of this year (perhaps sooner) I will be a driver. I can hardly believe I drove. I started the engine. I moved off from the kerb, waited for an oncoming bus and then pulled around the parked car and drove down the road. Okay, the lovely Rhona was telling me exactly what to do at every tiny stage of the way and my legs didn’t really know what they were doing but I didn’t panic, I didn’t cry, I stayed calm and even (sshh) enjoyed it, something I could not have anticipated, even this morning. I am still picturing myself making the car go in broadly the right direction with something of a sense of glee. Apparently this has made me very smiley today. This, as you all know, happens very rarely. Today, therefore, is a good day.